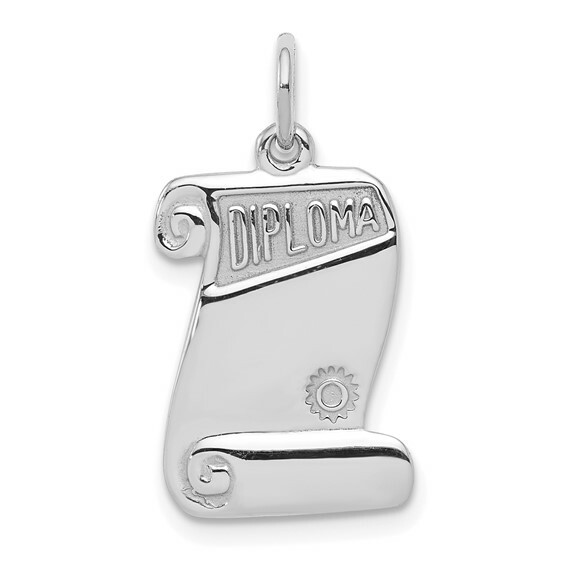 Solid sterling silver charm is 1/2in x 5/8in. Item weighs approximately 1.2 grams. Chain not included. Made in the USA.